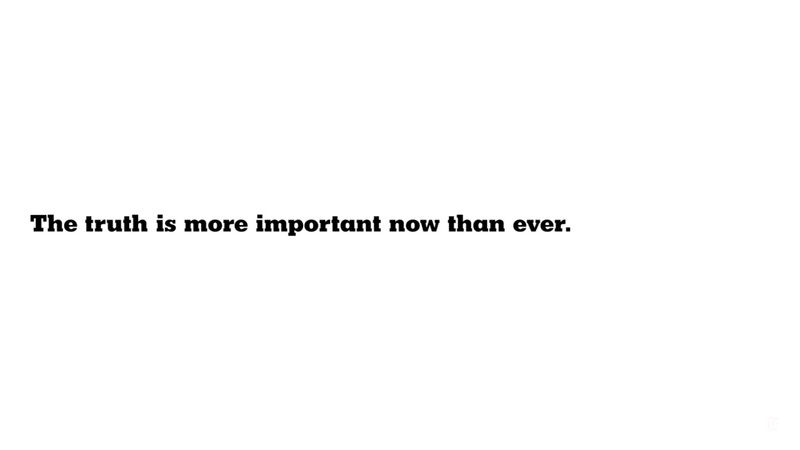 New York Times just did this ad "the truth is more important now than ever" - when CNN is "fake news" and "alternative facts" are all over the place, when one's religion or lack of it makes for basis of exclusion, etc... 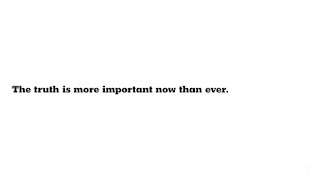 The TVC is simple, very eloquent and memorable. The interesting part is that, when I was stuck in 2006 in the US as the war broke out in Lebanon, CNN posted a video from Israel where a bomb just fell. But when one of the firefighters turned his jacket read in Arabic, so the place the bomb fell in was not Israel but Lebanon - and the video was a way to sway audiences to have pity on Israel that was pounding Lebanon left and right. The New York Times reporting on the pre-Iraq war was to say the least, unethical. What is sad is that it took them for the wolf to get to their door before understanding that. I am all for media being protected, and not selectively. The truth has always been important. Now more than ever? Depending on whose view? Because in the Americano-centrist view truth only applies to them - sadly. Only now do Americans see how truth matters. But truth matters not just to them, and not "now more than ever" because their "now" has been the past of other people, other nations. It is good to wake up, but could it be too little, too late? But from propaganda to POPaganda I go back to the Bee Gees immortal lyrics: "We can try to understand The New York Times effect on man."